Facebook Home is the latest hype from the Palo Alto company, bringing an alternative home launcher interface to Android devices. Officially, the Facebook Home APK for Android package is available at present only on select devices, including Samsung Galaxy S4, Galaxy S3, HTC One X, HTC One X+ and Galaxy Note 2, and only to the customers in the U.S. Of course, there are alternative ways to get it right away, but the device compatibility issue remains there. Facebook is gradually bringing support for other devices and regions, and the introduction of Chat Heads to the official Facebook Messenger app for Android is bringing some sigh of relief to other users as well. However, we all know how fast and keen the Android developer community is, and so it is now possible to get the Facebook Home experience on any Android device in any region right away. 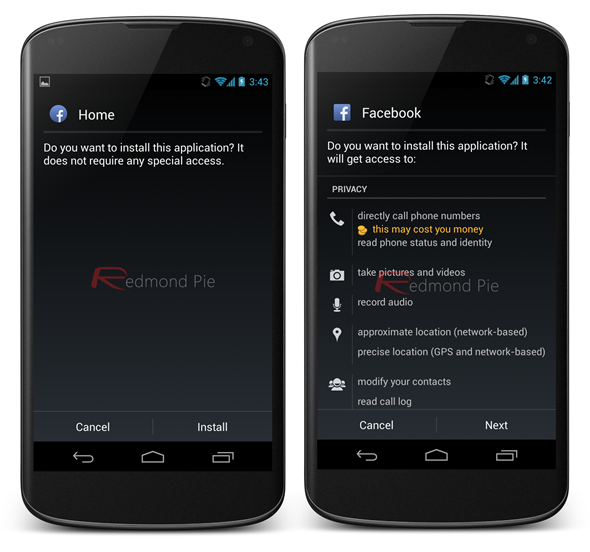 The package comes in the form of a modified APK combination that bypasses the device build and region checks, allowing installation of Facebook Home on any Android device. 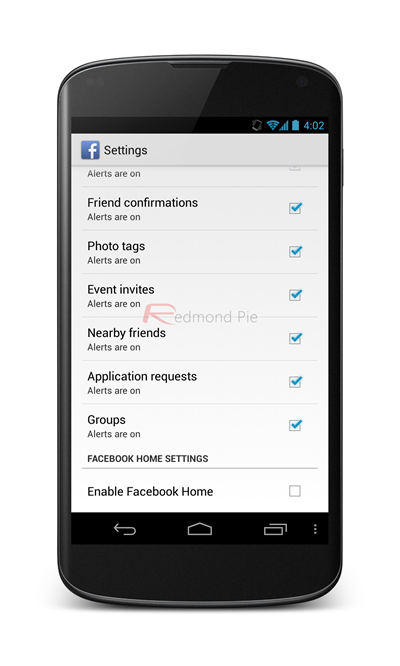 Note: Before you begin, uninstall all Facebook apps you might have on your Android device. That includes the Facebook app itself, Messenger app or the Facebook Home app itself (if you’re running it on an unsupported device). Once you’re all set, follow the steps given below. 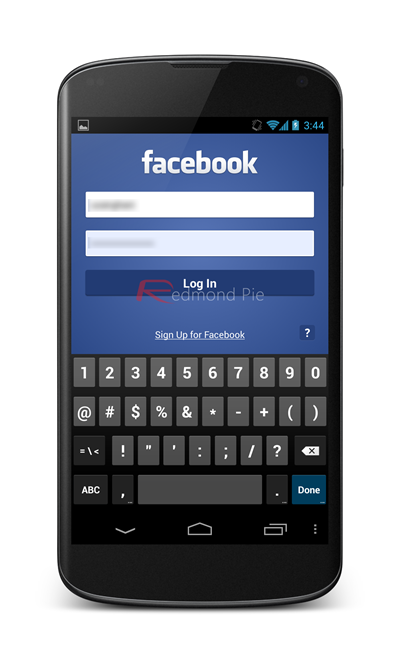 Step 1: Download the Facebook Home APK for Android RAR package from XDA here. Step 2: Un-RAR the package and install both the APKs to your device using a file manager app of your choice, we used ASTRO File Manager / Browser for this guide. 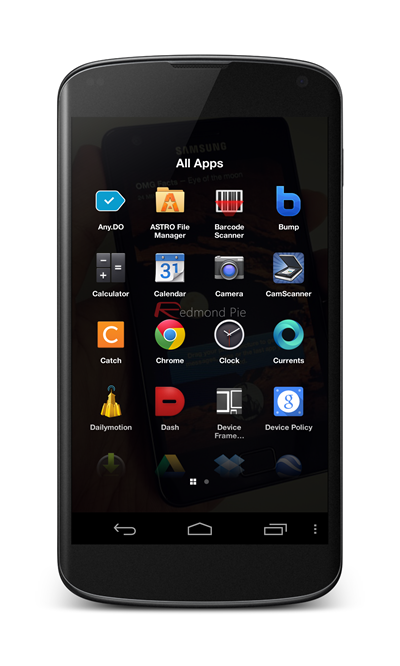 Make sure sideloading APKs is enabled on your device before you go ahead with the installation process. You can do so by heading over to Settings > Security and then checking the Unknown Sources box. Step 3: Restart your device, just to be on the safe side, though this step might not be necessary for every device. Step 4: Connect your Facebook account to the new modified Facebook app that you installed, and enable Facebook Home in the app’s settings. 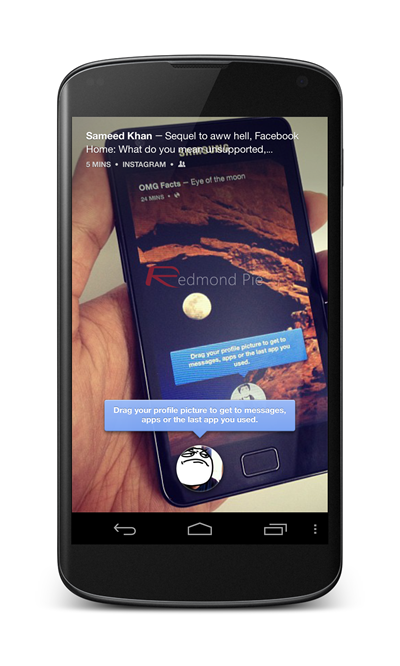 Or, you’ll see a new header in the app asking you to complete Facebook Home settings, simply press Finish. That’s it – this procedure doesn’t even require root, so you get the Facebook Home experience on any Android device right away. While getting the package is really easy using this method, there is a catch – it won’t work if you already have any Facebook app pre-installed on your device. Hence, if you have that from the Play Store, get rid of it. Also, while the package itself doesn’t require root, if you are unrooted and have a pre-installed version of the Facebook app at a system level, you will most likely need root access to remove it. Alternatively, you may follow our guide to uninstall system apps without root access (How-to: Remove bloatware from Android without root). Facebook Home is an alternative launcher that brings the most integrated social networking experience to Android, much more than any other platform. Although iOS enjoys a system-wide integration with Facebook since iOS 6, and although the official app for Apple’s platform is far superior as compared to its Android counterpart, Facebook Home has changed the game altogether. If you want this experience right now and are craving to give it a shot, it’s all yours to try. We tested it on a Google Nexus 4, and can vouch that it looks beautiful and works pretty well.